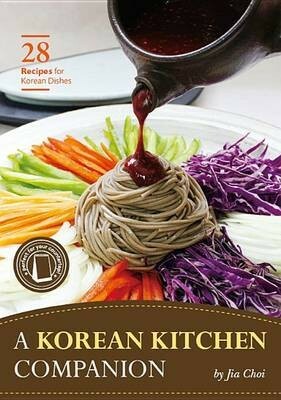 Produktinformationen "A Korean Kitchen Companion"
Jia Choi developed a natural interest in food culture when she encountered the cultures of Brazil, Japan, and parts of Africa as a child. She began the work she is doing today out of the belief that the best way to share her values and knowledge about Korea with the world is through food. Since 2008, Choi has been the president of O ngo Food Communications in Seoul. In her work there, she uses her own experience living overseas to bring Korean food to people around the world in a way that suits their sensibilities. The company s name, O ngo, means revitalizing tradition through modernization. Reflecting this mission, Choi is engaged in researching and disseminating the ways in which traditional Korean food can become quicker, easier, and more delicious to prepare and eat. Choi is an expert in Korean cuisine with a PhD in food and nutrition from Ewha Womans University. She runs a Korean cooking class and food tours. Weiterführende Links zu "A Korean Kitchen Companion"
Unser Kommentar zu "A Korean Kitchen Companion"
Kundenbewertungen für "A Korean Kitchen Companion"